Fire officials are responding to a blaze at a one-story warehouse in Oakland on Wednesday morning. Kris Sanchez reports. 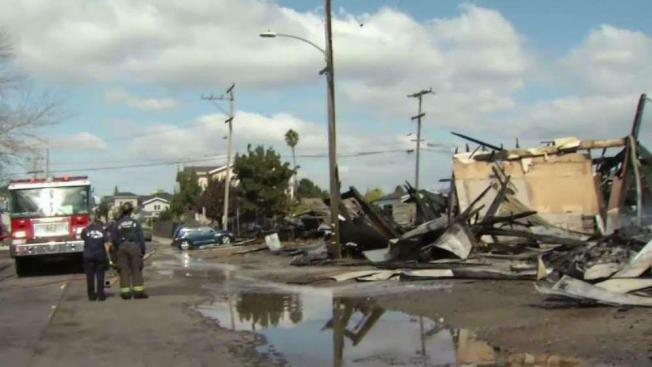 A two-alarm fire at a warehouse in East Oakland has been declared under control this morning, a fire dispatcher said. 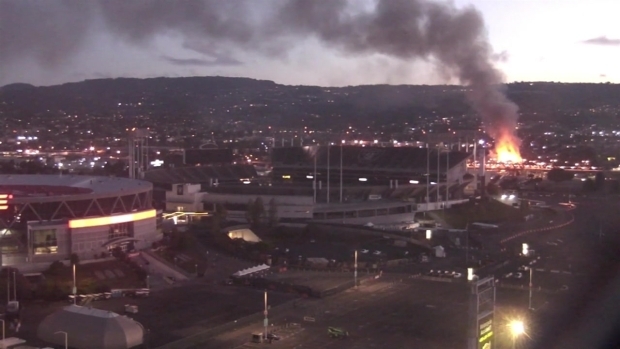 The fire was reported at 6:31 a.m. near the intersection of 72nd Avenue and Hawley Street, located near the Oakland Coliseum. Fire officials said they worked with the East Bay Municipal Utility District to boost water pressure in the area while they battled the blaze. The fire was under control as of shortly before 9 a.m. No other details about the blaze were immediately available. Approximately 502 customers were without power after the fire department requested the area to be de-energized for the safety of firefighters, according to PG&E. Investigators are assessing the damage. BART service won't be affected but a spokesperson said that half of the Coliseum parking lot is closed, and commuters are being directed to park at Fruitvale station.